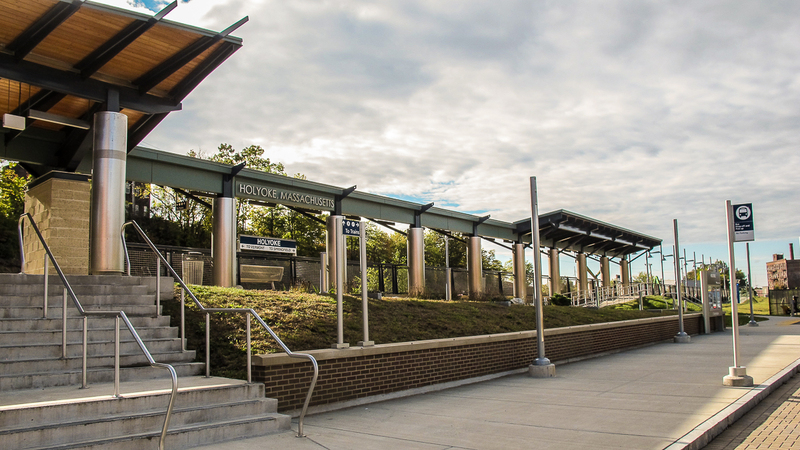 Detailed information for Amtrak’s station stop in Holyoke, Massachusetts. There are 9 short-term parking spaces and 16 long-term parking spaces with dedicated accessible parking also available. Parking is free at this station. The Pioneer Valley Transit Authority (PVTA) provides bus service within Holyoke and the surrounding area. Note | these links will take you to the transit information on Google Maps. You will need to select the appropriate departure time/date on the site. You may also wish to change the starting point or destination. (*) This bus stops across the street from the station. A listing of services can be found on the link below.